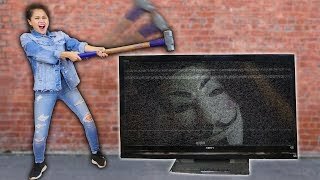 IS CHAD WILD CLAY The HACKER In Real Life? 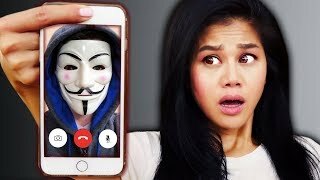 (Girlfriend Prank on Vy) - Videos Line. If Chad is not the hacker, who was that at the door? 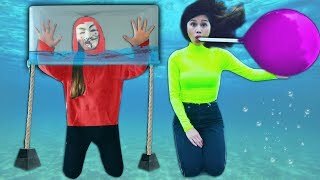 After Chad Wild Clay and Vy Qwaint made HACKER TRAPPED ME IN SCHOOL CLASSROOM! 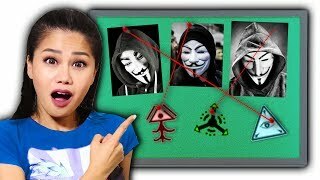 (Do Not Hack My YouTube Channel Challenge) or FOUND MY STOLEN TESLA & BREAKING IN (Mystery Hacker Drone) videos the hacker trapped Chad and Vy in an abandoned haunted classroom where they found mystery puzzles and clues that they needed to solve. In order for them to get out they needed to play the CWC DO NOT DELETE my YOUTUBE CHANNEL CHALLENGE with the hacker. Chad and Vy FOUND their missing stolen Tesla on an abandoned street! Chad and Vy FOUND the hacker in real life where he put a mystery item in the frunk. Vy uses her spy gadgets and ninja weapons to break into the Tesla successfully and gets her Tesla back! 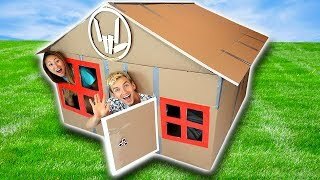 Chad and Vy made it back home and Chad pulled a funny girlfriend prank on Vy kind of like what Lucas and Marcus do to Ivanita Lomeli! Scary things kept happening to Vy and it turned out that the hacker knows where they live. Thank you for watching my PG entertainment family friendly comedy videos for kids in 2018! Guava Juice - What Can You Do With a 3D Printer?